Written by Syncon LLC on January 2, 2017 . Posted in Company News. Syncon partners with Susan Craft of Consulting By Design of Princess Anne, LTD. to provide improved corporate human resource policies and procedures. Susan’s experience with a vast range of companies and their systems and procedures will be very beneficial to the restructuring of our organization. We are excited about developing a scalable system around our mission, vision and values that provide the very best for our employees. 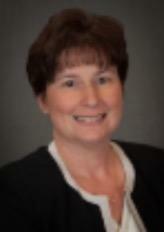 Susan Craft, has been a Strategic Business Partner with leading firms in the area for over 25 years. She holds a Master of Science in Human Resource Administration from Troy State University. Susan is certified as a SHRM-SCP from Society for Human Resource Management. In addition she holds the certifications SPHR, Senior Professional in Human Resource and GPHR, Global Professional in Human Resource from Human Resources Certification Institute. She is a Certified Trainer in Connected Leadership Framework and P.O.V. with CODA Partners.